This was a pretty easy parts-swap custom. 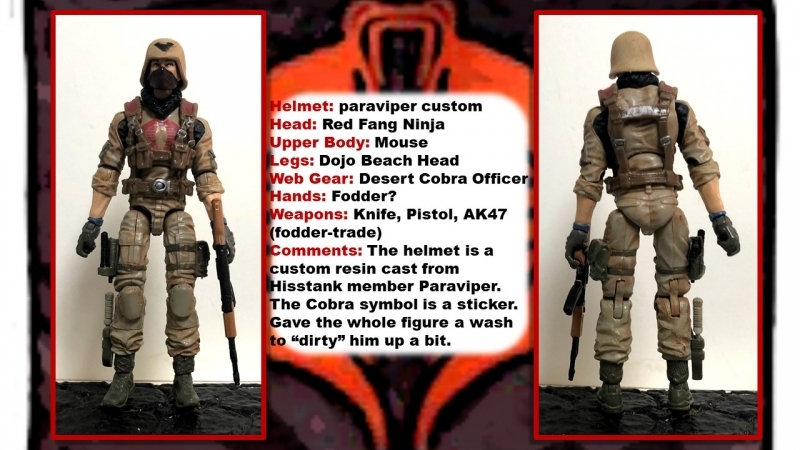 I love the "blue shirt" design Cobras, and wanted to update the Desert Cobra Officer from the Desert Assault Squad figure pack. The Dojo Beach Head legs are a perfect match to the Retaliation Mouse body. 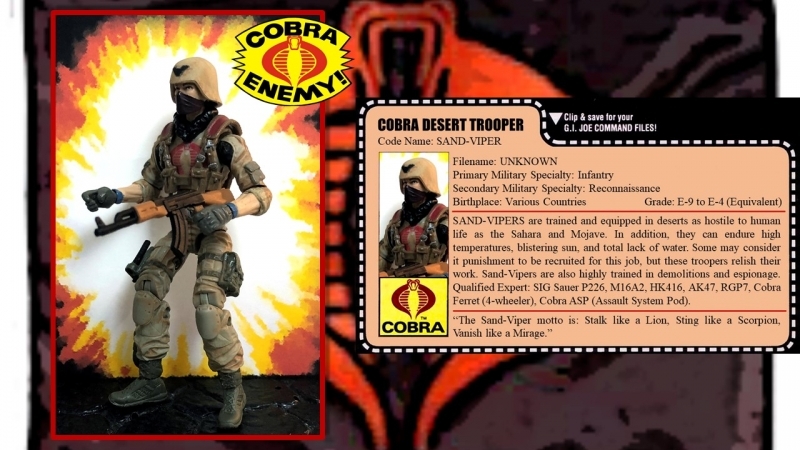 The Cobra emblem on his chest is simply a sticker left over from some vehicle set. Once I positioned the sticker where I wanted it, then I warmed it up with a hair dryer which allows the sticker to better conform to the wrinkles and curvature of the torso.